Among all these world-branded watches, I prefer vintage watches best. Particularly, Rolex and Panerai are my most favorite. As a matter of fact, there are many vintage Rolex in genuine watch market, but most of them have been unavailable now. 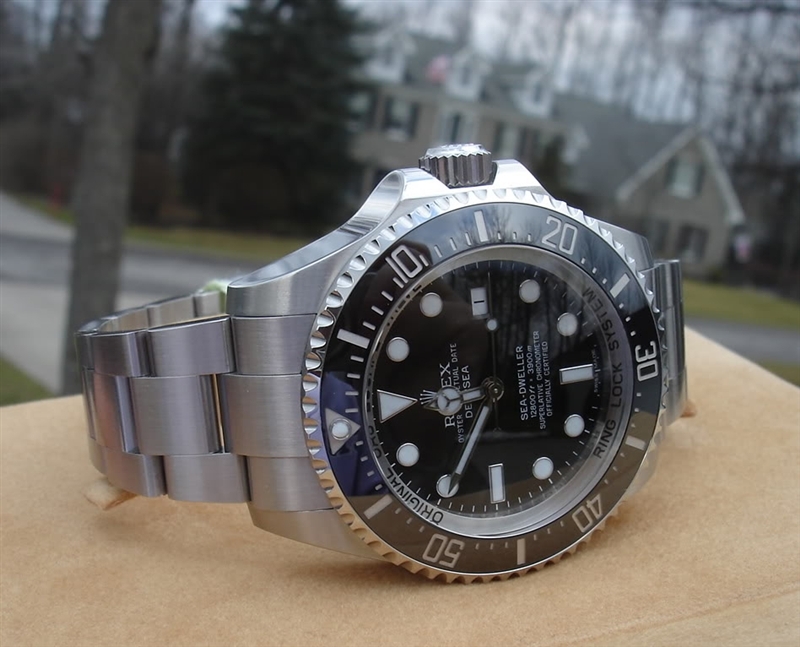 Therefore, people who love vintage Rolex turn to seek for perfect replica watches of them. While, it is difficult for them to get a perfect model of vintage Rolex, sometimes it is even hard to get one because these vintage Rolex watches are also very rare in fake watch market. We usually see the Vintage watches in Rolex series like Submariner, GMT Master II, Daytona and Milgauss. We have introduced these replicas here on my blog, for instance, Daytona Paul Newman, Double Red Sea-Dweller, Comex Submariner, etc. Today, I am going to talk about another vintage Rolex Submariner, which was ordered by one of my clients. The watch is so special and totally different from modern Submariner. First of all, these photos are real photos I took with my mobile phone. This is an amazing and made b JK factory that has manufactured a large number of cheap replica Rolex watches. The case is made of 440 stainless steel and 40mm in case diameter, the case size is almost the same as other modern Rolex Submariner, but this vintage model features a big crown on the right, which is 8mm. There is a word of “Brevette” under the crown logo. On the bezel, apart from diver’s markings, the most unique place lies in its red triangle mark at 12 o’clock. On this vintage fake Rolex Submariner 6538, the bezel markers are not engraved. Black dial has yellowish hour markers, and there are Arabic numeral hour markers of 3, 6 and 9. A big triangle mark is at 12 o’clock. The dial has a simple layout design and no date. By the way, the dial is protected by a domed plastic crystal. The popular fake model is decorated with a black nato strap that features a SS pin buckle. 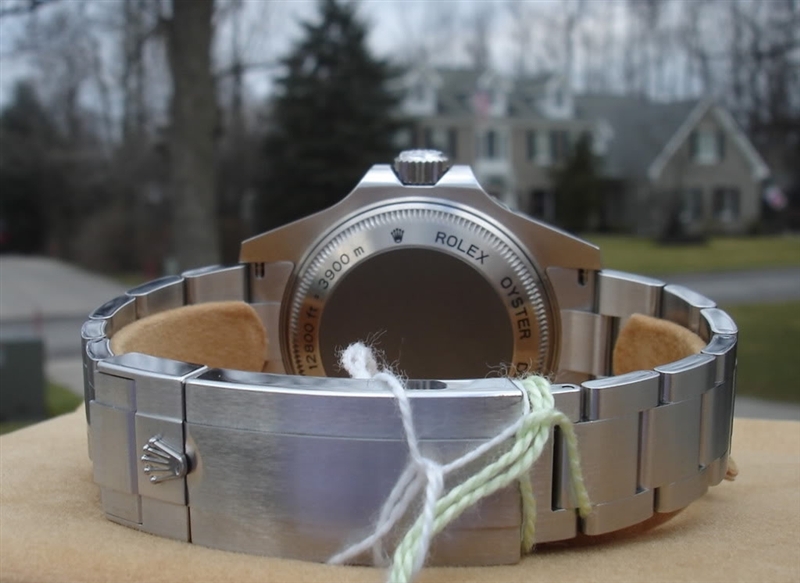 Nato band is a distinguished match for this vintage Rolex.